Boeing yesterday delivered its 8000th 737-a 737-900ER-to United Airlines, marking yet another milestone for the world’s most sold large jetliner, which has cumulative orders for 11,774 Boeing 737 airplanes, since the time the program was conceptualised in 1964, across its airline, business and military offerings. Boeing, which was initially skeptical about the aircraft’s sales, and reportedly had plans to cancel the program, was convinced by Lufthansa to go ahead with the aircraft type. That decision proved a commercial success for the airframer, encouraging the continuation of the production line, across 12 significant variants spread across 4 sub-families: the Originals (-100,-200), Classics (-300,-400,-500), Next-Generation (-600,-700,800,900), and MAX (MAX 7, MAX 8, MAX 9) families. The first Boeing 737, a 737-100 flew on 9th April, 1967. The first production 737, a 737-100, was delivered to Lufthansa in late 1967. The 737 family, the smallest among all original Boeing designs, earned itself famous nicknames, including Tin Mouse, Baby Boeing, and Fat Albert. Boeing’s successful narrowbody airplane started facing stiff competition almost 20 years later, from Airbus, when the European airframer introduced the Airbus A320 family of airplanes. The then significantly more efficient aircraft prompted Boeing to introduce the Next Generation family of the 737, almost a decade later. The biggest change to the 737NG, over the Originals and Classics, is a significantly improved wing, which helped Boeing match the Airbus A320’s operational economics. Other changes included an updated cabin and cockpit. The changes were deemed significant enough to have a new set of manufacturer line numbers for all Boeing 737NGs produced, abruptly interrupting the numbering with the last produced 737-Classic at line number 3132. The first airline to receive the 4000th 737 – which was the first thousandth 737 delivered after this line number change, and the first such 737NG – was Air Algerie. Unlike other recent thousandth deliveries, this was mysteriously done without any publicity or fanfare. Stiff competition between the two manufacturers has led to significant continuous product improvements targeting lower operational costs, which include the winglets for the 737NG, the “Sharklets” for the A320 family, “Scimitar” Winglets for the 737NG, and re-engining for the significantly more fuel efficient A320NEO and 737MAX families. United Airlines, which received the 8000th 737, is also the first airline to fit the “Scimitar” Winglets from Aviation Partners Boeing, making the 737NG series realise close to 1.5% fuel burn reduction. 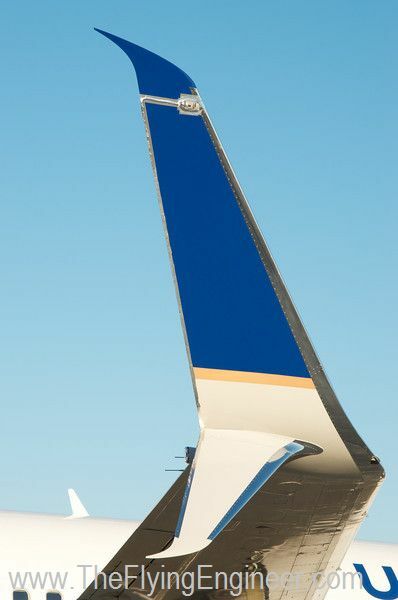 Such winglets will eventually be factory fitted on Boeing 737NG airplanes, making the 737 the only commercial jetliner in production to feature such unique winglets. The highest demand has been for the maximum-189 seat Boeing 737-800, which competes directly with the Airbus A320. As of 31st March 2014, there are 3794 unfulfilled Boeing 737 orders. Boeing presently produces the 737NG at 42 airplanes a month, or 504 airplanes a year. That rate is scheduled to ramp up to scheduled 47 airplanes a month in 2017-the same year the 737 MAX is expected to enter service. About 1,700 737NG airplanes are expected to be produced at this rate, with the balance 160 737NG and 1934 737MAX produced at 564 airplanes a year, completing the orders as they stand today, only in early year 2021. In contrast, Airbus has 4,247 unfulfilled Airbus A320 family orders, as of 31st March 2014, which is impressive for a program that started 20 years later, today grabbing the largest market share of the narrowbody airliner market. Airbus produces airplanes at the rate of 42 a month, across its three final assembly lines in France, Germany, and China, with another in the United States set to open, shortly.